Peggy Ann Garner arrived in Hollywood at the age of seven, and though her film career never amounted to much after she grew up, she is still the most accomplished and talented child actress I have ever seen on film. The portrait at right was taken after Peggy Ann's child-star days by one of her fellow child stars, Roddy McDowall. Garner takes a nap in IN NAME ONLY (1939), her second film. Starring Cary Grant, Kay Francis and Charles Coburn, IN NAME ONLY features Garner as the daughter of widow Carole Lombard in this drama about an unhappily married man (Grant) who wants to divorce his cold-hearted wife (Francis) to marry another woman (Lombard). In THE PIED PIPER (1942), Garner and fellow child stars Roddy McDowall and Fleurette Zama (with Garner at right) are placed in the care of an Englishman named Howard (Monty Woolley) who happens to be on vacation in France when the Germans invade in 1940. He doesn't particularly like children, but is committed to getting them to safety before the Nazis close in. This film was nominated for a Best Picture Oscar and also features Anne Baxter and Otto Preminger. Garner (shown here with a young Elizabeth Taylor) made a memorable impression as the title character (in her early years) of Robert Stevenson's 1944 film adaptation of Charlotte Brontë's novel, JANE EYRE. 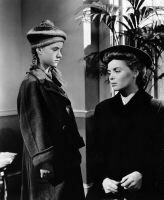 Joan Fontaine played the grown-up Jane in the film, which also featured Orson Welles, Sara Allgood, Agnes Moorehead, and another famous child star of the 1940s -- Margaret O'Brien. 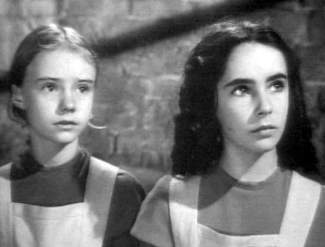 After her success in JANE EYRE, Garner finally won a studio contract and made her next seven films for 20th Century-Fox, including the highlight of Garner's career, her Oscar-winning performance as Francie Nolan in Elia Kazan's adaptation of the Betty Smith novel about a young girl trying to rise above her impoverished surroundings, A TREE GROWS IN BROOKLYN (1945). A TREE GROWS IN BROOKLYN is one of my all-time favorite movies, with marvelous performances from Dorothy McGuire (with Garner at right) and James Dunn (with Garner above) as Francie's parents, Joan Blondell as Francie's Aunt Sissy, and of course from Garner herself. (Watch the movie and then go read the book, so you can appreciate the best of both.) Unfortunately for Garner, demanding dramatic roles for child actresses were hard to come by. Though she turned in good performances in films such as JUNIOR MISS (1945) and DAISY KENYON (1947), her stature in Hollywood declined with the quality of her vehicles after A TREE GROWS IN BROOKLYN. As her film career waned, Garner pursued acting opportunities in New York in both theatre and television. 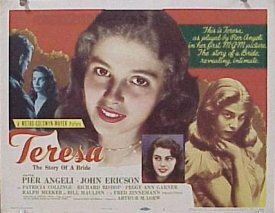 In 1951 she returned to Hollywood to play John Ericson's sister in TERESA, the story of an American G.I. who brings home an Italian war bride (Pier Angeli) yet can't seem to break away from his domineering mother (played by Patricia Collinge). 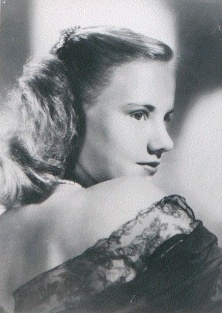 Garner's role was small but well-acted, and she returned to stage work, appearing in only four more films in the next thirty years.